Russia's Prime Minister Dmitry Medvedev shakes hand with Thailand's Prime Minister Prayuth Chan-ocha after a news conference at Government House in Bangkok, April 8, 2015. 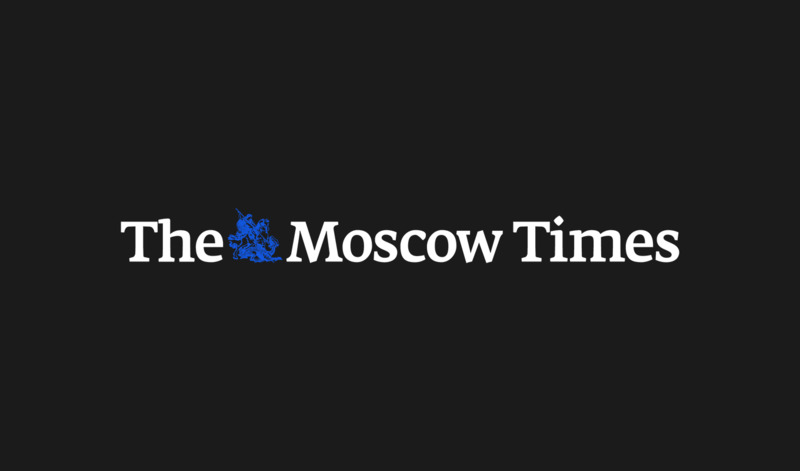 BANGKOK, Thailand — Russia sees an opportunity to sell Thai military planes and other defense equipment, Russia's Trade Minister said Wednesday, as the two countries facing Western opprobrium seek to boost trade ties. Thailand has stepped up engagement with both Russia and China in response to cooler relations with old ally the United States and other Western countries since the Thai military seized power from an elected government last May. The United States scaled back military cooperation with Thailand after the coup. "We are feeling out the interest on the Thai side to purchase military equipment," Russian Trade Minister Denis Manturov said in Bangkok on Wednesday. "Our friends from the Western part of the world are ignoring Thailand." Manturov is part of a delegation accompanying Russian Prime Minister Dmitry Medvedev on an official visit. 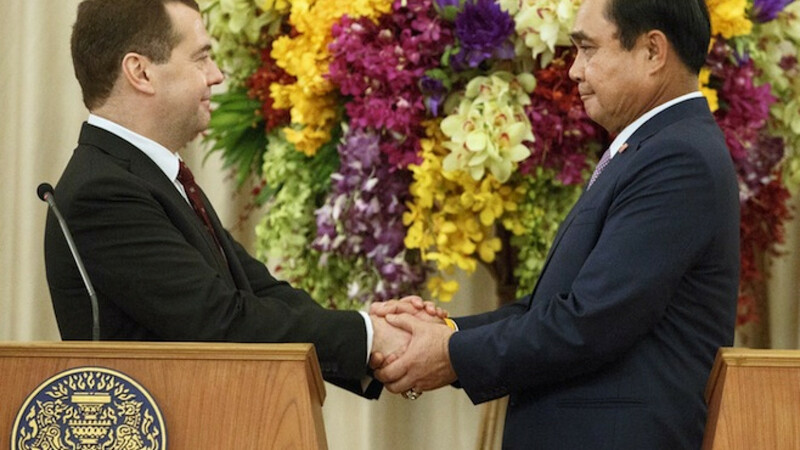 Medvedev is the first Russian prime minister to visit Thailand for 25 years. Talks on defense-related sales were focused on military aircraft and related training and services, Manturov said. He declined to give details of specific deals under discussion. As Thailand hosted those talks, it also sent a high-level delegation to China to boost military ties. Thai Defense Minister General Prawit Wongsuwan told reporters that he and Thai army chief General Udomdej Sitabutr would travel to China on Wednesday. Russia also hopes to strike more deals with Thailand in the civil aviation sector. The Royal Thai Air force should take delivery in late 2016 or early 2017 of the first of three Sukhoi Superjet passenger aircraft, Manturov said. Russia was focusing on boosting trade in markets in Southeast Asia, Latin America and Africa to compensate for the impact of Western sanctions over the conflict in Ukraine, he said. 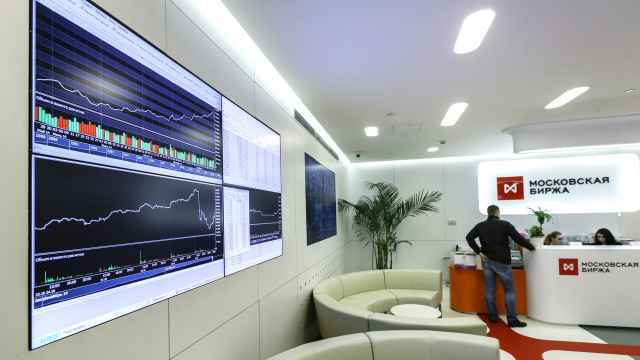 Russia's total international trade was down about 20 percent in the first quarter of the year due to a combination of sanctions, falling energy prices and a weak ruble, he said. Russia would buy at least 80,000 tons of rubber from Thailand in 2016, Manturov said, adding that would be about four times more than planned purchases in 2015. Russian state-owned defense conglomerate Rostec would purchase the rubber to make tires, he said. Rostec has stakes in some of Russia's largest industries and partnerships with foreign companies, with interests in weapons, cars and metals. Thailand is the world's top rubber exporter, and the purchases will bolster a sector struggling with oversupply and weak global demand. Thailand and Russia aim to double annual bilateral trade in 2016 to $10 billion, Thai Prime Minister Prayuth Chan-ocha said Wednesday. At least 23 Russian tourists have been hospitalized following a bus crash in the Chonburi province of Thailand on Thursday night.